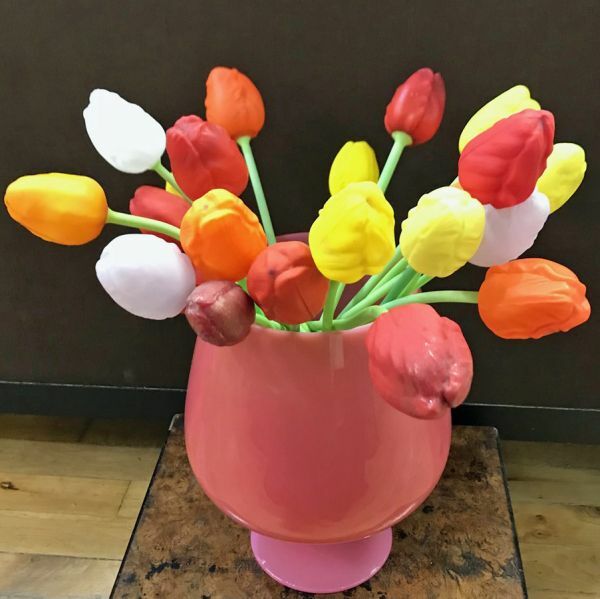 Czech art glass tulips in multiple colours. Circa 1930s. 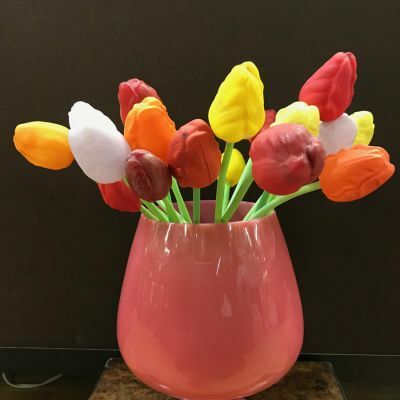 The tulip blooms are blown into a mould and formed onto a long green glass stem.